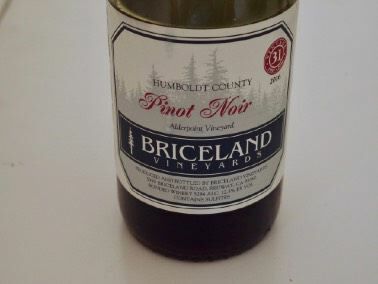 A small producer (2,000 cases) of Pinot Noir, Syrah, white varietals and sparkling wine from grapes grown in Humboldt County, Mendocino County and Lake County in Northern California. 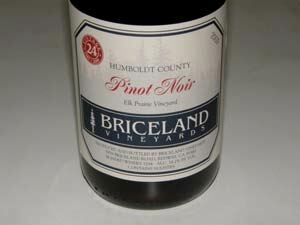 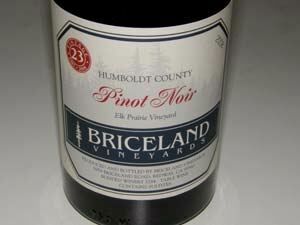 Briceland Vineyards, located in the tiny town of Briceland in southern Humboldt County, was founded in 1985 by winemaker Joe Collins and his lifelong partner, Maggie Carey. 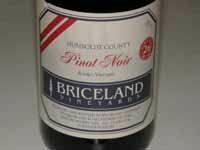 Collins was trained at University of California at Davis, and with over 35 years of winemaking and winegrowing experience, he pioneered winegrowing in southern Humboldt County when he planted an experimental vineyard in the region in the 1970s. 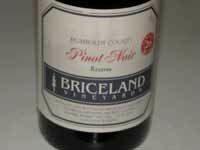 He was involved in the planning, establishment and management of practically all the early vineyards in the area which is most suited to Pinot Noir, Chardonnay and Sauvignon Blanc. 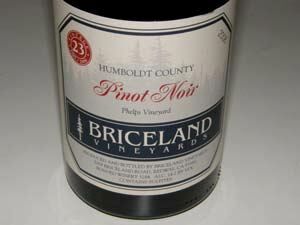 Most of the red wine production at Briceland Vineyards is Pinot Noir, sourced from neighbors who farm tiny hillside vineyards in the Redway and Myers Flat area. 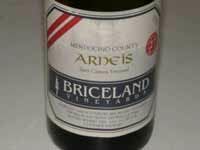 Collins' stepson, Andrew Morris became the apprentice winemaker, and by 2014, assumed ownership and winemaking duties with spouse Rosie. 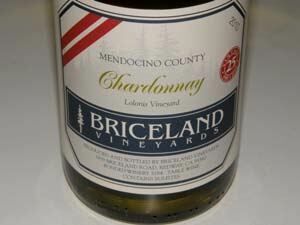 The wines are not sold directly online. 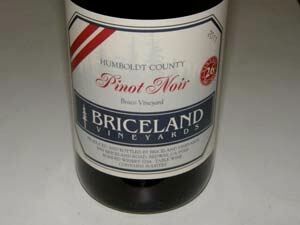 Contact andrew@bricelandvineyards.com or 707-923-2429.